This week, we went backpacking in Scotland and in the morning, we disturbed a bird that flew away with a cackling noise. “That’s a red grouse,” my 13-year-old daughter said. “It’s saying ‘hello’ to us. 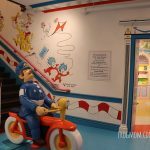 The alarm call is different.” I was floored because I had no idea that she knew so much. She became a bird lover at age 7 and has never stopped asking questions about birds around our neighborhood or during our travels. Initially, she just wanted to know what they were and a few fun facts. 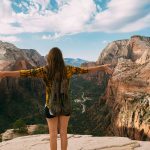 As she grew, her interest led to recognizing raptors by silouhettes in the sky or migrating birds by flight patterns and learning about bird life behavior. This got me thinking about perfect gifts for young bird lovers. How do you help a child interested in birds grow a hobby into natural sciences observation? 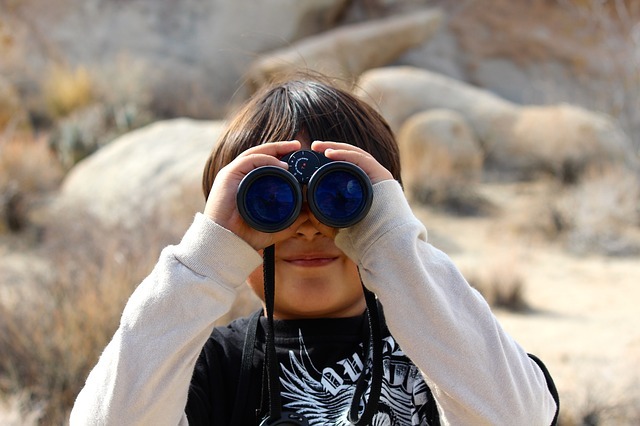 What educational resources or outdoor gear are the best suited to bird watching? How can this help your young bird lover understand environmental and conservation issues? If you have a young bird lover in your life, the items below will be a hit. Good binoculars are the most important tool for young bird lovers as you often need to observe birds at a distance. We’ve had quite a series of binoculars for my two girls and based on experience, I would recommend that you skip kid binoculars altogether for better lenses at similar prices (or not much more expensive), if your child can use them easily. You’ll have to measure your child from eye to eye to make sure that he or she can see with both eyes with an adult version. With my girls, this started happened around age 9 or 10. 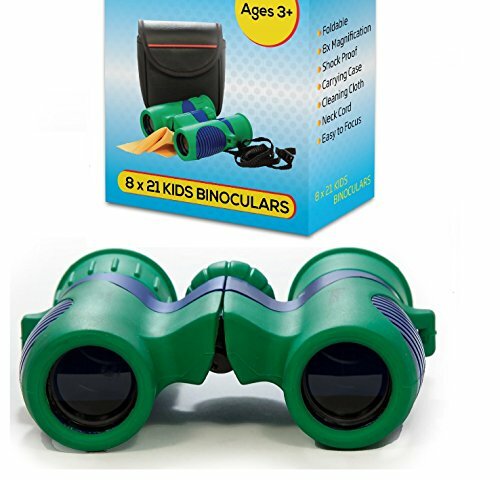 If your child is younger than age 10, kid-size binoculars are definitely the best option and in this range, the Shock Proof 8×21 Kids Binoculars Set by SpyToys are as playful as they are sturdy and good quality. Shockproof and easy to grip, they make nature observation a breeze for little hands. 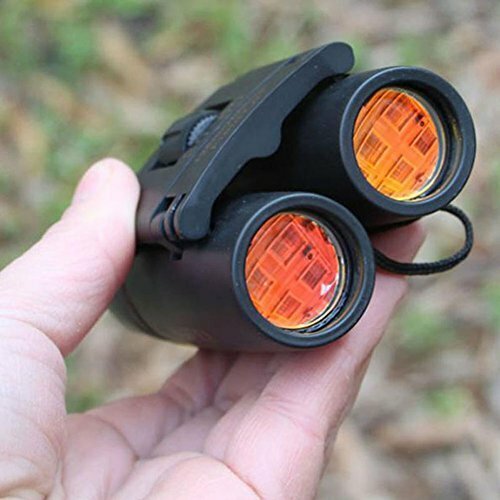 For tweens and older, the Sminiker 30×60 Folding Binoculars Telescope for Travel and Sports Bird Watching is a fun compact pair of binoculars that includes uber-cool night vision capabilities. You’ll finally be able to see owls at night when camping! How’s that for a cool piece of birdwatching kit? 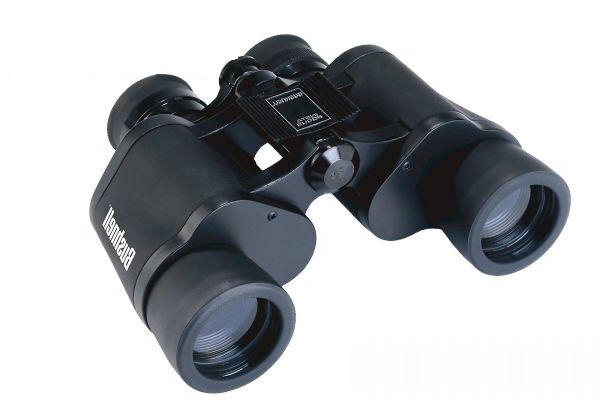 Cheaper (watch for seasonal sales), the Bushnell Falcon 7×35 Binoculars feature excellent optics from a field leader, as well as “instafocus,” a one-finger focus on birds in the distance. They also track moving objects while staying on focus, which is great if the bird your child is watching is feeding or on the move. If you live next to a bird sanctuary or bird preserve, these would be perfect for bird-hides. 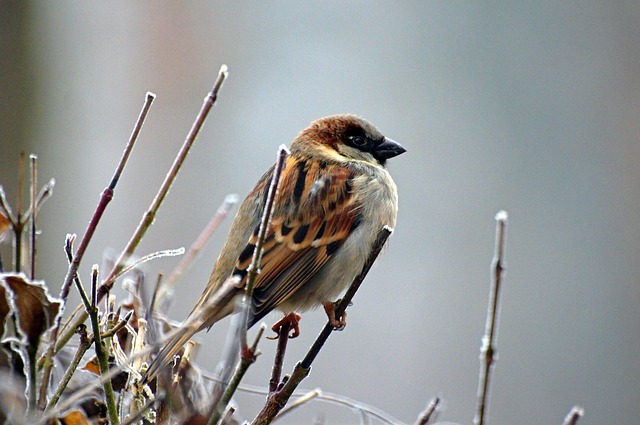 Especially during the winter season, birdfeeders are a great way to bring birds into your backyard so that they can be observed at a short distance. 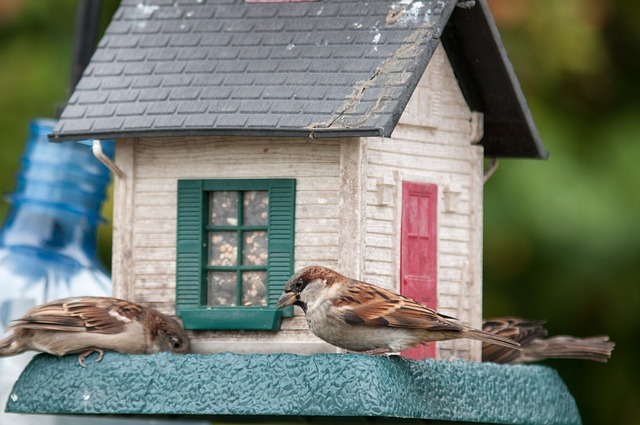 Most garden stores have traditional birdfeeders made out of wood or plastic, but there are other fun options for kids. 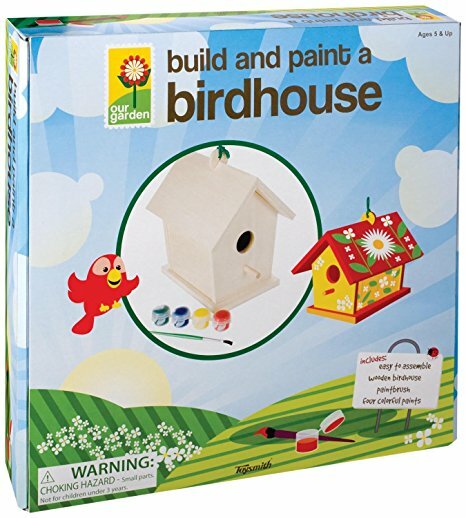 For toddlers and preschoolers, there’s no beating the excitement of Toysmith Build and Paint a Birdhouse , an awesome home project that kids can decorate themselves before hanging it in the garden with a selection of bird seeds. For ongoing bird observation Discovery Channel-style, clear hanging birdfeeders are pretty cool. 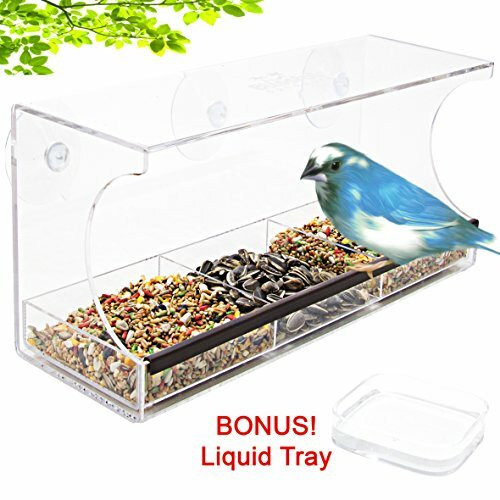 In the US, Nature’s Hangout Window Bird Feeder with Removable Tray is a great system if you live in an apartment or want to see wild birds from upclose. Thanks to suction cups, you can simply fix it on your kitchen or your child’s bedroom window and fill the trays with bird seeds or water. In the UK, the Glass/Window Suction Birdfeeder by Meripac features the same system except with 3-sided open access and two fatball holders (because British birds get cold in winter and need fat to keep healthy). If you’ve got squirrels, it’s probably good to get a Squirrel-proof Window Bird Feeder to avoid feeding squirrels who are natural predators to some backyard bird species. Memberships to bird protection non-profits are one of the best gifts for a young nature lover. 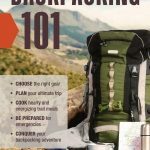 Not only does it support bird protection, but it usually comes with magazines or newsletters that keep kids informed of what to look for in the coming season and where to see birds in your area. 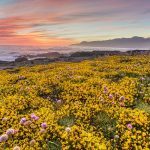 It’s also a full year of free entrance to bird reserves, a real incentive to go out with the family and observe birds through the seasons. In London, being a member of the Wildfowl & Wetlands Trust is a must as it means free access to the London Wetland Centre on the banks of the river Thames in Barnes. 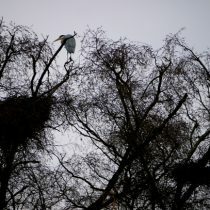 The wetland centre has boardwalks above various habitats, birdhides, as well as open and protected bird areas. My daughter’s first introduction to being a bird lover was through books. 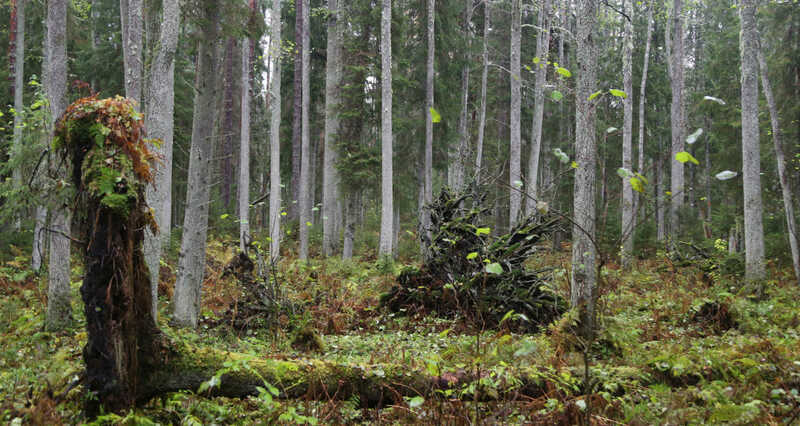 Of course, there’s no one-size-fits-all for birds as birds vary from region to region around the globe and within the same continent, vary depending on local habitats, weather and more. There’s a perfect book for each bird lover but there’s no perfect book for all bird lovers. 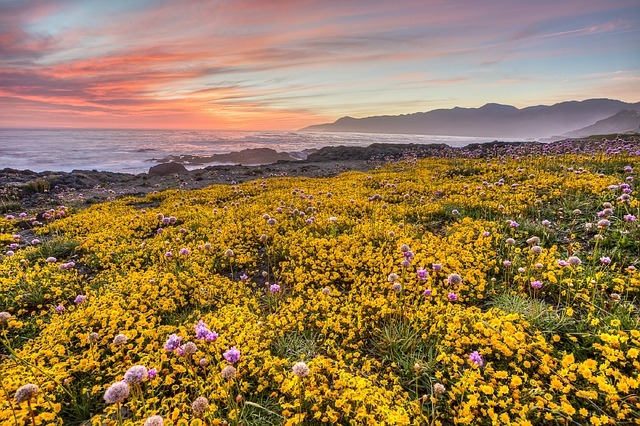 When we lived in the United States (San Francisco), we started bird identification with the excellent National Audubon Society Field Guide to California that included plants as well as wildlife. 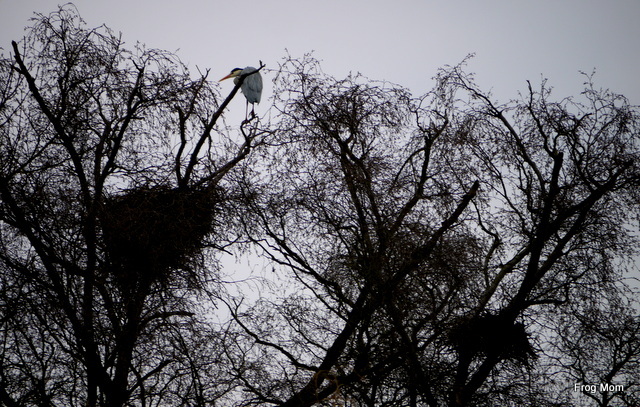 On any given day out, we could learn about local birds as well as flowers, grasses or insects. It was compact enough to be carried around easily and the color photographs made identification really easy. The Audubon Regional Field Guides exist for California, Florida, Mid-Atlantic, Pacific Northwest, New England, Rocky Mountain States, Southeastern States and Southerwestern States. For more serious bird observation, we became familiar with the Peterson First Guide to Birds of North America , followed by the more complete Peterson Field Guide to Birds of North America and The Sibley Guide to Birds , a very cool guide that features painted illustrations of species shown on land and in flight. 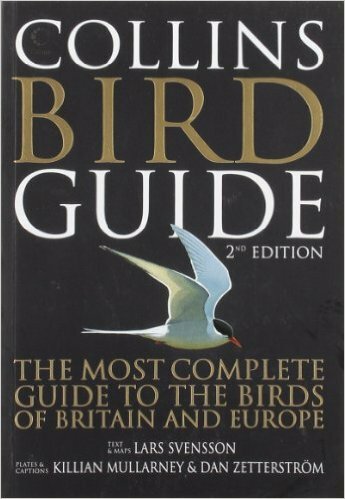 It’s considered by many to be the ultimate bird guide book. 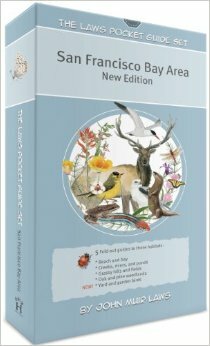 To be more specific to the Bay Area where we lived, my daughter received The Laws Pocket Guide Set: San Francisco Bay Area , a great format for kids including 4 foldable guides by Bay Area locale with child-friendly illustrations. These guides are waterproof and tearproof, making them perfectly suited for eager little hands. Ours is still in great condition, which shows how durable this set of field guides is. It’s also available for the Sierra Nevada, a great companion to Yosemite and Tahoe adventures. Last but not least, the ultra-light and basic laminated double-sided field guides. We love those! When we went on hikes around San Francisco, we always carried a few field guides such as the Mac’s Field Guide Northern California Park & Garden Birds, as they were super light and could provide quick ID for the most common birds. 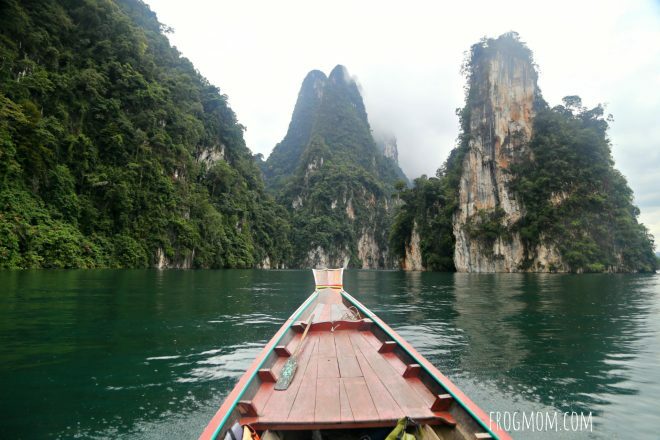 Depending on where we went, we also packed their guides on marine invertebrates and sea life, wildflowers or trees. 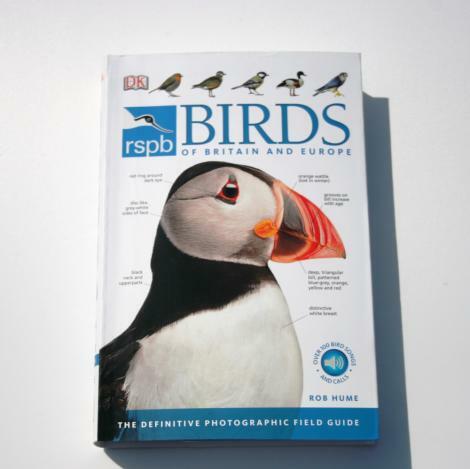 In the United Kingdom and in Europe, we love the Royal Society for the Protection of Birds (RSPB) guides, starting with RSPB Birds of Britain and Europe , which comes with a CD of 99 birdsongs. It’s very user-friendly and the layout is fun for kids as each species gets a full page as well as similar species at the bottom of the page. It’s amazing how many lookalikes birds can have! For serious birders, the Collins Bird Guide is considered the nec plus ultra but I would only recommend it to teenagers and older birders who are familiar with bird identification. Songs are what makes birds so special to musicians. Once your child can ID birds by shape, color and size, what about sounds? 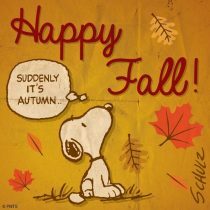 Isn’t it the coolest thing to hear a bird song in a forest and recognize who the bird is but also what the bird is saying? We love bird books with songs as they really introduce a playful dimension to being a young bird lover. 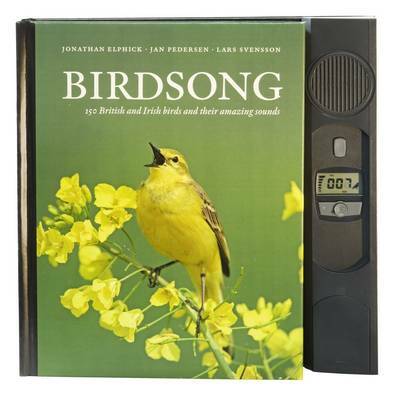 In the United States, the reference book is Bird Songs: 250 North American Birds in Song , a bird that features color pages on the most common birds with recordings of their songs. 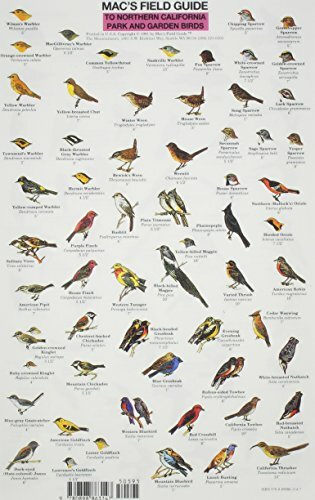 In the United Kingdom, my daughter learned a lot from Birdsong: 150 British and Irish birds and their amazing sounds , an amazing book that includes recordings of common bird calls in the British Isles. It’s from this book that she learned the ‘hello’ call of the red grouse. 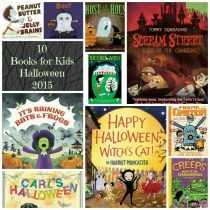 Great ideas for your kids to experience nature. And an awesome Christmas list. I got the “Build and Paint a Birdhouse” for my little one and he LOVED fixing it up for me. I still have the worn and faded one in my garden shed. He is a tween now, but loves that I have it in a place of honor. (It is too precious now to be out in the weather.) He is still proud of it at 12 yrs old. 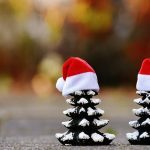 Awesome gift list. My kids love watching, photographing and drawing birds from our area along with learning all about them. We recently saw a bird bingo game with learn about cards, now I have another new list of resources for gifts, thanks! Hi Laurie, a bird bingo game sounds pretty cool. I like that! I admire your kids for the drawing part. My girls aren’t patient enough to sit down and draw animals from life observations. Have a great day! What a great list of gifts for bird loves.